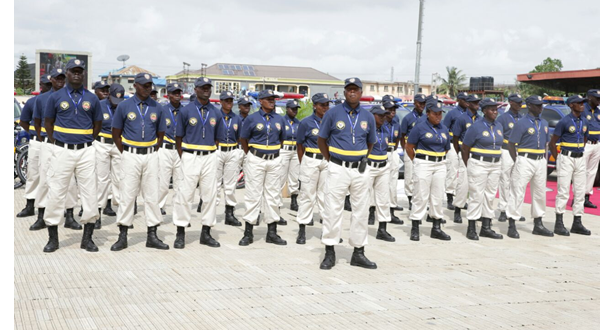 Lawmakers in the Lagos State House of Assembly on Tuesday expressed divergent views at planery over the performance of the Lagos State Neighbourhood Safety Corps, LNSC, one year after. While some lawmakers said LNSC has performed well, majority disagreed saying it has performed abysmally. The LNSC celebrated one year of its operations over the weekend and the lawmakers were doing an appraisal of its performance one year after it was established. The debate was initiated by the Speaker, Rt. Hon. Mudashiru Obasa, who sponsored the bill that was signed into law last year by Governor Akinwunmi Ambode with the setting up of the Corps almost immediately. Obasa called on the Acting Chairman of the Security Committee, Hon. Tunde Braimoh to give an evaluation of the performance of LNSC one year after, saying that the Neighbourhood Safety Corps is a step towards having state police. Braimoh said in his appraisal that the agency is still battling with teething problems as it has been trailed with “so many petitions, protests and insinuations even by members of the Corps. He complained about issues bordering on non regularisation of personnel of the agency and non payment of salaries for upward of eleven months “some of the personnel are alleged to be parading fake certificates from higher institutions according to reports from these institutions; inadequate protection for personnel and need for more equipment to serve better”. Braimoh however said that the agency personnel have been able to establish some rapport with critical stakeholders in security across the state like CDAs, CDCs and also a working relationship with the police. He said they have been instrumental to the arrest of some armed robbery gangs, tackling of the Badoo menace in Ikorodu where they arrested some members of the gang and also smashed a gang of notorious terrorists also at Ikorodu. Hon. Setonji David (Badagry 2) disagreed with Braimoh, saying that “LNSC has performed abysmally; despite the efforts put in by the House in passing the law it has turned out to be working against our intentions. “Their mode of operation is very unprofessional, the personnel have no skills in security matters, qualified and known hands or professionals in security matters were disengaged, we need to look into the law and review it”, David said. Hon. Bisi Yusuf said that there were shocking revelations about the agency during interactions with its official during budget defence. “We need to call the management to know what is happening there, there were shocking revelations at the apprioration meeting with them, even the chairman of the agency does not know what is happening there. There is inneficiecy in the system as a result of inadequacy of the management”, Yusuff said. The Deputy Speaker, Hon. Wasiu Eshilokun-Sanni also said, “there is no proper structure, training is not up to date, what is their training schedule, there is no administrative structure for optimal performance; the officers are visible but not effective and no insurance policy for corps”. He however advised that they should be paid their salary. The Majority Leader, Hon. Sanai Agunbiade said, “there is no doubt that they have shortcomings for such a new organisation and without proper remuneration they can compromise which will be dangerous as a security outfit. “However, creation of the Corps have created very good impact on security situations, they have assisted in bursting crimes in the state especially in Ikorodu axis, they have assisted with information gathering during Badoo menace, we should look at the hinderances and find solution to them”, Agunbiade said. Concluding the debate, Obasa said, “the Lagos State Neighbourhood Corps is a step towards state police and we don’t want to fail. “If we can’t manage it then we can not make case for state police, we need to improve and perfect what they are doing. Other states have emulated us but we must give the agency the necessary support to ensure they perfect their act and succeed”, Obasa said. The Speaker subsequently instructed the Clerk of the House Mr. Azeez Sanni to write and invite the management of the agency to appear before the House on Tuesday next week to explain what is happening in the agency.